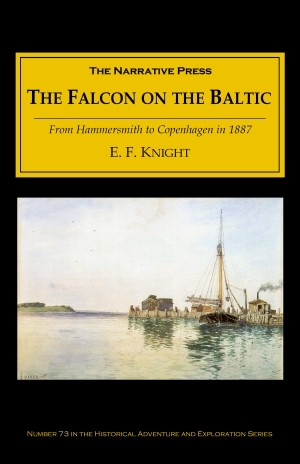 The Falcon on the Baltic is an English gentleman’s narrative of his 1886 cruise in a small, shallow-draft boat from England across the North Sea through the canals of Holland and Germany into the Baltic. The pace is comfortable, the weather fair, the maidens comely, and the beer excellent. The boat itself is small and not expensive. She is, in fact, a converted lifeboat. She drew something under three feet, and so could enter the shallowest Danish boat-harbour. The gentleman from whom I bought her had converted her into a … ketch, for her mizen-mast was well in-board…. She is twenty-nine feet long and of three tons register. 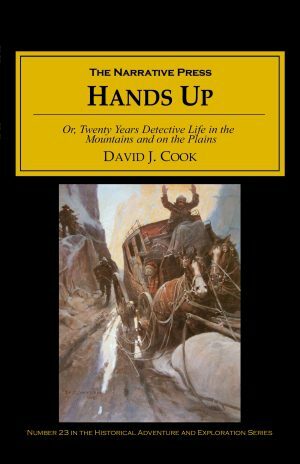 Much of the book is about the details of relaxed cruising: outfitting the boat, choosing stores, navigating sandbars and harbors, and handling problems as they arise. The worst of these was a leak that no one could fix. Leaving the tiller for a moment, I looked into the cabin, and, to my dismay, beheld the water high above the floor, washing backwards and forwards over our beds, while the blankets and mattresses were floating to leeward. We were evidently leaking at a very great rate. Other times, the sea itself was the threat. These were spring tides, and I do not remember to have ever experienced before so rapid a current, even in the river Seine. The yacht rolled about violently to her anchor, while the water foamed and hissed and whirled by us in a way that almost made one feel dizzy to contemplate. 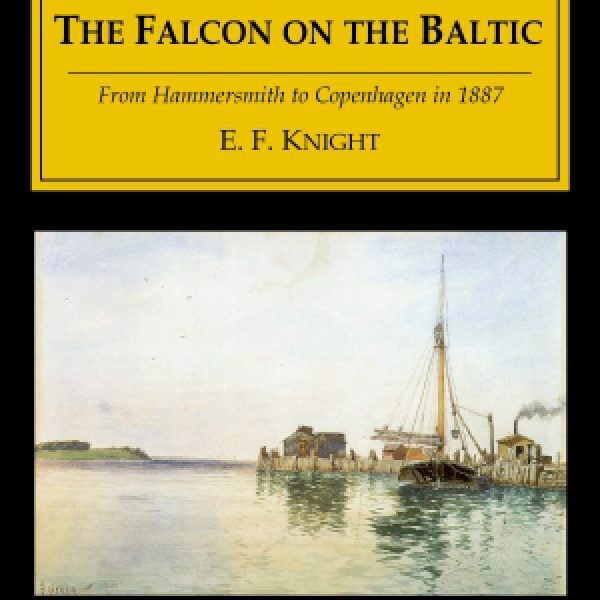 Had our anchor dragged, it is very probable that the Falcon would have been lost. Mostly, however, this cruise is about people. Children everywhere, for example, tormented the Falcon. Of all the children in Europe the Dutch child is most to be feared. Now the Zuider Zee child is the most terrible of Dutch children, and the Marken child the most terrible of the Zuider Zee, and hence of the whole species. Our position can, therefore, be imagined by any father of a large family. This is a wonderful summer cruise any sailor would like to have made.